When it comes to low back pain, it can be extremely painful and very hard to handle your daily responsibilities. It is very important to understand what some common diagnoses are along with some common cases for low back pain. There are many different stretches and strengthening exercises that can help to alleviate some of the pain. Be sure to look over our list of contributing factors that can lead to and exacerbate the pain you are feeling in your lower back. 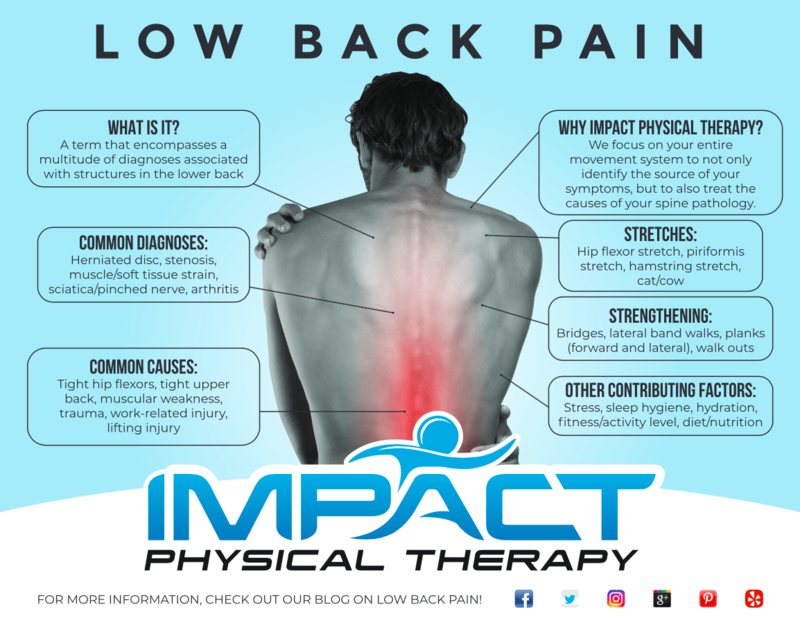 Whether you live in the Glendale area or Scottsdale, Impact Physical Therapy wants to help you better understand how to manage your lower back pain.